As Iran, China and the U.S. struggle over sanctions, the big winner is Putin. Recent decisions by the U.S. to impose sanctions on China for theft of intellectual property and to re-impose economic sanctions on Iran for violations of the 2015 nuclear deal have left the world scrambling to assess the damage. Iran’s economy will grind to a near halt except for oil shipments to China. Iran will not be able to be paid in dollars because of sanctions so it will have to accept yuan or gold. U.S. and European companies will lose sales to Iran. China is desperate to reach a deal with Trump over U.S. sanctions on China because Chinese tech champions such as ZTE and Huawei are reeling from being excluded from sales and acquisitions in the U.S. As this turmoil swirls around global capital markets, the big winner is Russia. Their reserves are recovering because of rising oil prices, and Russia is finding new opportunities to do business in Iran, Turkey and China, along with other markets that are on the outs with the U.S. This article does a good job of describing Putin’s desire to get out from under U.S. control of the dollar payments system, which the U.S. uses to enforce sanctions. But the author ignores the critical role of gold. It’s true Putin may be piling up U.S. dollars in the short-run (because Russian oil is sold for dollars), but that’s temporary. Sooner than later, Putin will use those dollars to buy gold as he has been doing all along. Russia tripled its gold reserves between 2006 and 2018 and remains firmly on that path. A new global reserve currency is coming. It won’t be the Russia ruble, but it could be a gold-backed crypto currency sponsored by Russia, or a gold-backed SDR launched with Russian and Chinese support. 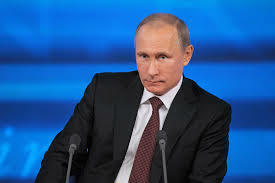 Putin will be one of the big winners in the coming monetary reset.